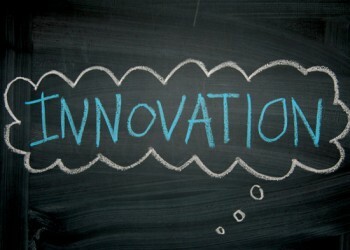 A common topic that seems to come up more and more in the business world is strategic innovation. Leaders and managers often wonder how to deal with change management since the world is constantly in flux and everything is changing at a brisk pace – including markets and customer expectations. The challenge: It often seems that as soon as we wrap our heads around one new idea, it changes shape, or something completely new comes down the creek and we’re left reeling. So how can we as influencers and leaders possibly stay ahead of the curve in a world, and commercial marketplace, that moves this quickly? Fortunately, there’s no need for crystal balls, tarot cards, or cloying incense. The irony is that most anyone can see where trends are headed long before they come down the pike: The trick is rather to have the good sense to step aside so you don’t get run over. From there, observe. That makes it a bit easier to adapt. While it may sound trite, the challenge is frequently that strategic innovation requires a culture of participation – not necessarily the type of culture built into most Industrial Age organizations. To succeed, you need to open yourself up to the possibility of change instead of steeling yourself against it. Everything is moving around us. Most of us harbor a fear of change, partially because we’re afraid that the move we make might not be the right one. However, if you want to succeed, freezing up is not an option. Think of a game of football: Yards are gained, yards are lost, and players are clobbered—but they pick themselves back up and keep the ball moving down the field, because that’s what matters. The key here: Decision makers need to make decisions, even if they don’t have perfect information. Even the most successful organizations and managers in the world are never 100% sure how something is going to come out. Sometimes they’re even aware that first attempts may well be disastrous. As Prussian military theorist Carl von Clausewitz famously stated, “No good plan survives first contact with the enemy.” In other words, the second that you hit the battlefield, every variable can change. So to succeed, you need to be prepared for those potential changes. You need to experiment, prototype, gain hands-on learning and – on a personal level – pick up new skills and cultivate new contacts and talents that will help diversify your outlook as a result of each successive attempt. From a broad level, it pays to encourage a culture of participation, open channels of communication, and create incubators within any given organization. Make sure everybody can chat with one another and share ideas. Keep up with emerging trends, and once you have a better idea of what’s coming down the pike, you can prototype with new strategies, new products, and new processes. Keep your end goals in mind – you can lose individual battles, but still win the war. Don’t be afraid of failures, as long as they’re measured, strategic, and cost-effective—after all, said failures are the best way to learn. Apple’s iPod didn’t spring from the blueprints and off the assembly belt in one smooth motion: There was a lot of experimentation and mistakes involved before the company got it right. Give yourself permission to try, and give others permission, too. Don’t tell them to keep quiet, or keep their heads down. When it’s all done, ship your product or venture, iterate, and see what happens. Have back-up plans, keep trying new approaches, and leave yourself enough headroom in case new trends develop. Constant motion and flexibility are how you stay ahead of the curve.